As I write this we are all in the dead of winter and the boating season is just a memory of last summer. Hopefully once the snow melts and the temperatures warm up some we can all look forward to the upcoming boating season. It is quite a privilege to be elected the 21st president of the Lake Hopatcong ACBS Chapter. As we begin our 45th year, our spring “Launch the Season” meeting will be held at Casa Bianca in Oak Ridge on April 7, 2019. I look forward to seeing everyone. A good time should be had by all. Check out our website at LHCBS.org and our Facebook Page which, thanks to Cindy Heaton and Bob Kays, respectively, are being updated regularly. Here you will find detailed information on our upcoming events, meeting minutes and our latest photos. With sincere gratitude I want to thank Pat Hoferkamp for the excellent job she did as President. She was always there to lend a helping hand or take control of anything that needed doing. As always I want to thank my Board of Directors for all their hard work. Their advice and expertise in all matters is greatly appreciated. 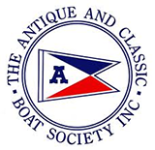 With our very own Stan Struble as ACBS President and this year's ACBS International Boat Show being held so close at the Thousand Islands Chapter in Alexandria Bay, NY in September, it would be great if our club had a large presence there. Hopefully, as many of our members as possible will attend. Don’t hesitate to contact me or any member of the Board of Directors with any questions, comments or concerns you may have. Check out these fabulous photos of our last Cruise Night of 2018! This September's Annual ACBS Meeting will be in Thousand Islands. Motivational video here! #4 Wyn Ginter Floss Your Boat Daily!!! !